NEWS and RUMORS section has a thread on this. WoS say they think it's 4 vehicles and game board and related things. 2 buggies in each color. Just a little less than I was hoping for, still very excited to see what the GW Community team has to say about this. Edit. Another source says more stuff. Edited by Warhead01, 14 August 2018 - 11:30 AM. 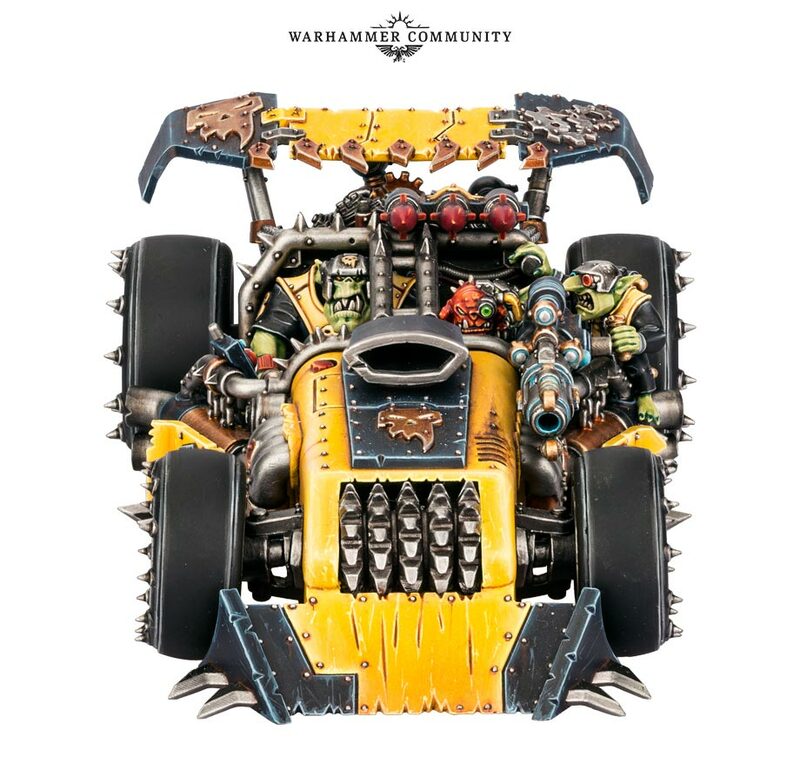 New Ork vehicle kits are still incredibly exciting for me, and hopefully other Ork players too! I was started to get a little worried that we wouldn't get any updated models for 8th edition, but I'm feeling pretty excited that maybe Orks are last to be updated because we're getting a slew of new models?! (Plastic Koptas, Buggies, Warbosses, Big Meks etc etc) Green fingers crossed! honestly, I've viewed orks as the highest % chance of getting a major refresh. Oops. Sorry. No I mean in the Boxed game. haha. I am hoping for more than 4 new vehicles! Beut we'll see. rumor mentions bikers as well so maybe they're something slightly improved upon as I have 30+ war bikers already! haha. I wasn't trying to drag other Ork related thought into your thread. the leakers are GW staff. the leak of magnus had a Red bin, then the official video had a red bin the in the background. The orks release is goign to be somethign special. And will the limited drip feed on wolves, I have a feeling that the ORKS, WOlves and GSc are in for somethign quiet special. I was worried this was destined to be a Japan only release again but the Warhammer Community video suggests otherwise. The new buggys look amazing, and the release video made me laugh. Great stuff from GW! I do love it. I just hope it is as modular as possible, so that we can easily and wonderfully convert it to look like all kinds of small vehicles. There's speculation that there will be an easy to build kit followed by a kit with more parts later like that Nu-Marine dread. The only complaint I have read anywhere was , it looks like a street racer. I guess it looks a little low to the ground. The weapon on top. I am wondering if it's some kind of kannon. I am looking forward to getting that into the hands of my meks! 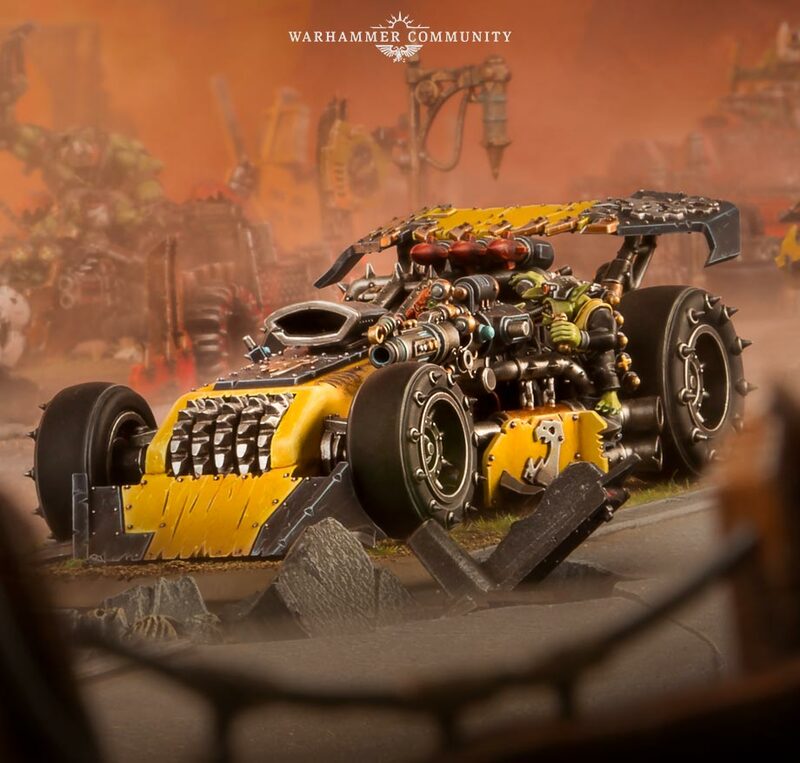 I love the new ork design. I’m very excited by this. The fact we have new models bodes very well. Loving those tires and engine too. Been trying to convert engines like that. Looks like the gunner has a stikk bomb, maybe you can throw grenades from it. Wonder what kind of weapon options it has. Those aren’t twin linked Rokkits for example. The lack of ground clearance is my only real gripe but hopefully that won't be too hard to fix. I'm old fashioned enough to still base my miniatures using sand so I need the front to be raised at least a bit. I also on occasion have been known to put some plastic card under the feet of models before sanding the base, if they buggies have to use a base you can do the same thing with the wheels. It helps things look like they're on top of the ground instead of sinking into it. Buggies look great. It looks like there are some wheels molded to fenders in there, so we'll have to see how customizable they are, not that easy build/monopose models ever stopped me. 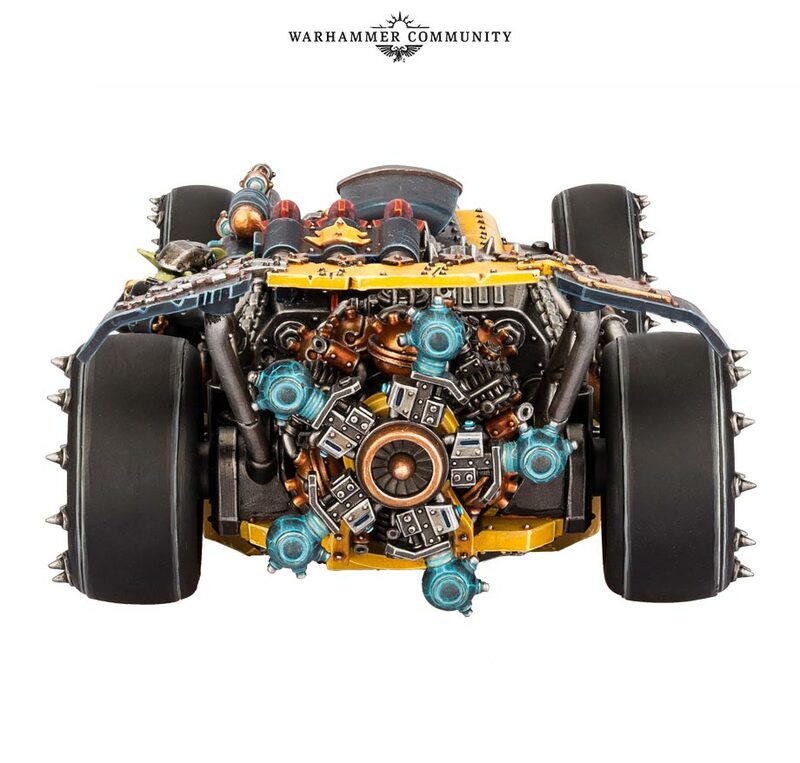 I'm 100% certain that there will be new weapon options in the kit, since the only existing ork weapon that resembles is the kannon...also, not including new weapons would be a missed opportunity. In fact, I'd bet that the best weapon will be one of the new ones, just because it'll motivate people to pick up more kits. Part of me wishes they would reintroduce some of the old vehicle weapons from Gorkamorka. I remember there being a large speargun and a harpoon weapon. Clearly, the Knight Valiant has proved that harpoons are awesome so putting it back on a buggy would be nice. Saying that, it would probably be a better idea to just make new weapons for buggy options. I think a nice meaty gun or rocket rack is better than just twin-linking lots of small weapons. My army is more of a Dread mob so I doubt it will go buggy heavy but getting one or two just for fun might be a good idea. if the struts/shocks are reversible then, that could add the height and clearance some people want. Anyone want to guess what type of base its on? That would be the 105mm Oval base..... hmm..
Dim over at the WAAAAGH shared that. My friend sent this to me just now. Edited by Warhead01, 18 August 2018 - 10:59 AM.